In our safety auditing practice, we have the opportunity to review the safety programs and practices of companies. One of the findings that always surprises us is when we discover that employees and supervisors lack training in how to do accident investigations. maintain and improve employee morale. Who Should be Trained on Accident Investigation? At a minimum, your supervisors and safety staff should be trained in effective accident investigation techniques. The definition of an accident or incident. 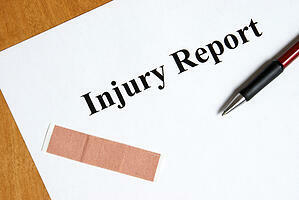 An accident is an unplanned and unwanted event that disrupts work and causes injury. An incident is an unplanned an unwanted event that disrupts work and has the potential to cause injury. An incident is sometimes called a "near miss". The benefits of investigating both accidents and incidents. By investigating incidents, you learn about potential hazards before someone gets hurt. Just because no one was hurt, doesn't mean you can't use the investigation of the incident to avoid a future accident or injury. How to get at the cause of the incident. You should train your employees on how to conduct a root cause analysis to get at the root cause of the accident or incident. Root cause analysis is a technique that helps you find the true cause of the problem instead of just dealing with the symptoms. By correcting the root cause, you prevent a similar incident or accident from happening again. How to conduct the accident investigation. Training should cover the best techniques for gathering facts and conducting investigations and train your employees on the questions to ask to get to the root cause. Photographs, interviews, and sampling are all possible techniques. You should also train your staff on procedures for handling accidents, including how to get help for any person who is injured and who to notify. The goal of the investigation. Your training should emphasize the goal of an investigation is not to find someone to blame, but to uncover the cause of the accident so that similar events can be avoided in the future. Accident investigation training should be part of your standard supervisor training. To find out how we can help you train your employees on accident investigation, download our safety training catalog.